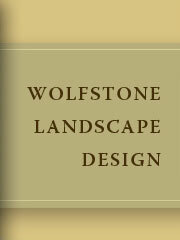 Many different aesthetics can be incorporated into Northwest garden design. There are spectacular examples of Japanese and Chinese gardens in Portland from which Lynn draws inspiration; Japanese gardens capitalize on maximizing the use of small space, seeking to create tranquil sanctuary from the stresses of our daily lives. Modern American landscape design is about sustainable, informal and low-maintenance planting. Lynn pairs these contemporary values with different stylistic influences to offer her clients beautiful, functional, diverse and affordable garden designs.